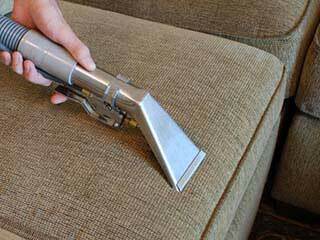 OZ Upholstery Cleaning Service Melbourne can clean any type of upholstery with hot water extraction or Steam cleaning method. We have been in this Industry for more than 15+ years and take pride in a way we clean your Upholstery with 100% customer satisfaction. Old, New or really dirty Upholstery doesn’t matter as our Upholstery cleaning method is well proven to deal with any kind of cleaning. We cover all Suburbs of Melbourne and available 24/7 for all your Upholstery Cleaning at affordable rates. All our Upholstery Cleaners are fully insured and expertise which enhances best customer experience for their cleaning needs. Fabrics would not be damaged; we would take extra care of it. Colour of any upholstery item would remain as it is, no color loss would be there. Feel free to contact us for Carpet Cleaning in Melbourne for industrial or commercial properties. Maintenance/Refresher clean. Recommended every 6 months. Not recommended for stained or light coloured Upholstery. For Upholstery with medium to heavy soiling or stains or light coloured Upholstery. Recommended for Sofa or Upholstery which has not been cleaned for 6 months or more and/or a vacating clean in order to get bond returned.